Don't miss the latest book from the author of Eragon, The Fork, the Witch, and the Worm: Tales from Alagaësia, coming December 31, 2018! The complete Inheritance cycle, available for the first time in a paperback boxed set! 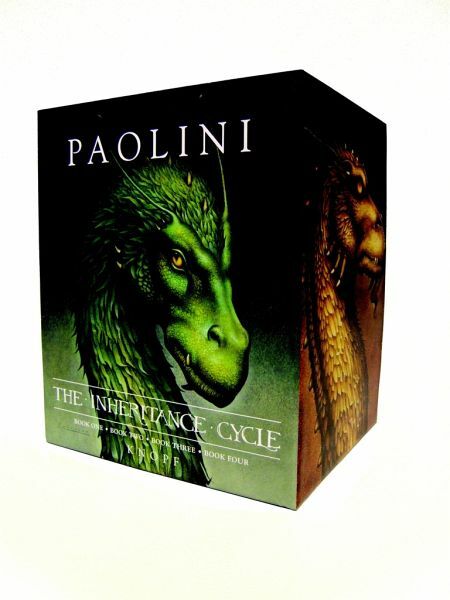 The Inheritance cycle worldwide bestselling saga of one boy, one dragon, and a world of larger-than-life adventure! This boxset includes the books, Eragon, Eldest, Brisingr, and Inheritance. Christopher Paolini is the author of three other bestselling novels about Alagaësia: Inheritance is the fourth and final volume in the cycle. Christopher lives in Montana, where the natural landscape has been a major inspiration in the creation of his stories.